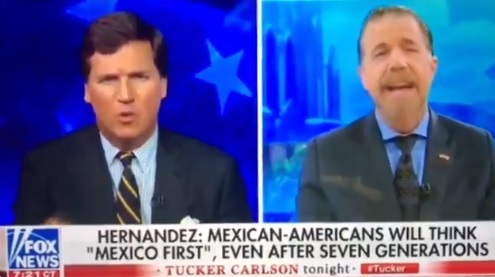 On Wednesday Tucker Carlson invited Juan Hernandez, the Guanajuato Secretary of Migration, on to his show to discuss the migrant crisis on the US border. Tucker — correctly — called out Mexico for being a hostile power and seeking to undermine the United States. TUCKER CARLSON: So but why isn’t the Mexican government stopping migrants from Central America before they get to the United States? Instead, Mexico is encouraging them to come here. That’s not the behavior of an ally. They’re not welcome, they’re not here legally. We have a process by which people can come legally – they’re not going through that process. So that’s an act of hostility and you can lie about it all you want, but we all know what it is. Why are we paying you money?… Mexico is a hostile power that is seeking to undermine our country and sovereignty.